Life is busy enough without having to take the time to fix a dental problem, which is why Dr. Shahrestany focuses so much of her energy on helping her patients avoid dental issues rather than just fixing them as they pop up. With the services detailed below, she can help our patients dodge cavities, gum disease, and a wide variety of potential pitfalls for years to come so that they have the kind of smile that never needs a second thought! 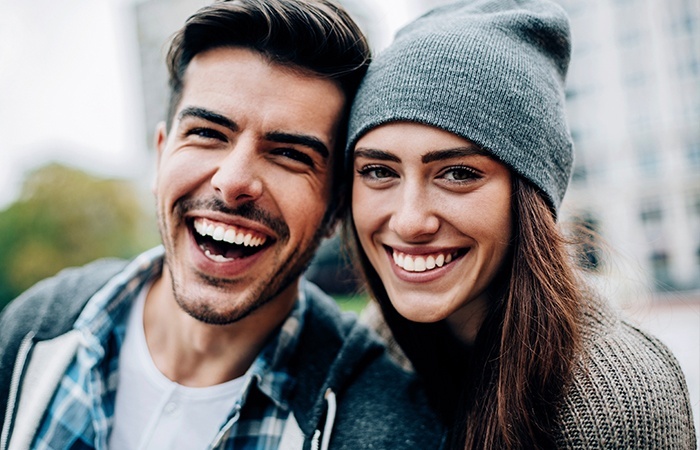 We recommend that patients come in for a preventive dental checkup at least once every 6 months to keep their smiles fully protected, so if it’s time for your next one, call us today to schedule an appointment. These are two of the most important services we provide every day, and they allow us to get to know our patients on both a personal and dental level. At the beginning of every checkup, Dr. Shahrestany will ask you if you have any pressing concerns before performing a comprehensive oral exam. By getting these checkups regularly, you’ll enable her to catch and treat dental issues before they can do any real harm. After the exam, you’ll receive a refreshing cleaning from our hygienists that will remove harmful plaque and tartar deposits as well as break up minor surface stains to keep your teeth nice and white. Every member of your family is always welcome here at Studio City Dental Arts, and that includes your favorite little smiles! Dr. Shahrestany is a mother of two herself, so she’ll know exactly how to keep your child comfortable while providing the services their growing smile needs. 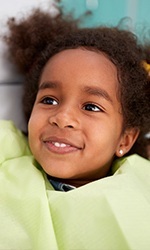 She’ll also take the time to teach them about the basics of dental care, ensuring they develop healthy habits that will serve them well into adulthood. A dental sealant is a treatment where we literally place a thin, invisible barrier over a tooth in order to protect it from harmful plaque, bacteria, and acids. 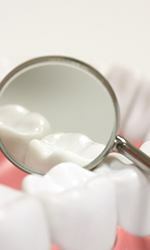 They are made of a clear substance that is applied to the teeth as a liquid and quickly hardens into place. We mostly use them on the back teeth, as these are the most likely to develop cavities (especially for children who are still learning how to brush). Are you stressed? For many people, daily stress manifests itself as teeth grinding, also known as bruxism. In some cases, this only occurs while someone is asleep, making it a particularly difficult habit to break! Over time, bruxism can severely wear down the teeth, cause them to look flat, and lead to painful fractures. 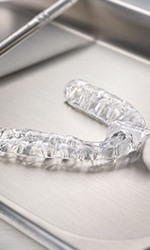 To help our bruxism patients rest a little easier, Dr. Shahrestany can provide them with a nightguard, which is a small oral appliance worn to bed that places a barrier between the teeth to prevent any harmful contact during the night. Regular fluoride exposure is one of the most effective ways to prevent tooth decay and cavities long-term, which is why you’ll often see it added to toothpaste and community water sources. However, many patients aren’t getting enough of this mineral every day to keep their teeth fully protected, which is why Dr. Shahrestany is happy to offer a topical fluoride treatment as part of every checkup. It involves simply applying a highly-concentrated fluoride solution to the teeth for a few minutes, and that’s it! It’s quick, it’s painless, and it’s one of the easiest ways to help a person stay cavity-free all year.